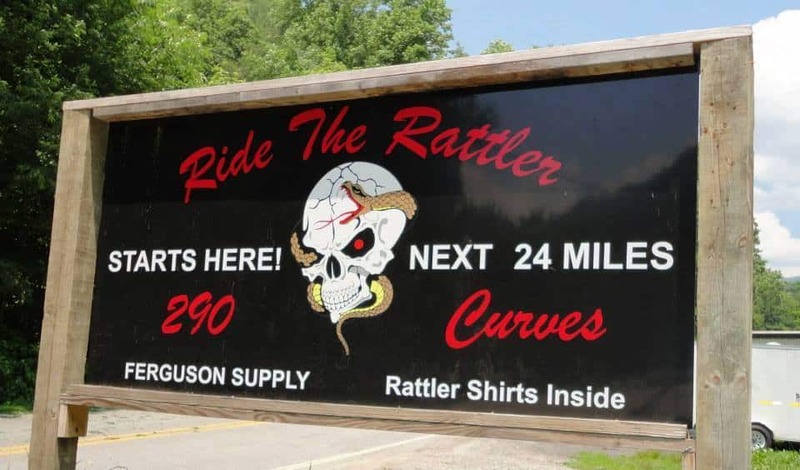 The Rattler has long been popular with locals and visitors alike. NC 209 takes you on a scenic and challenging ride north to Hot Springs. Extend your ride by continuing through Hot Springs on US 25, pass through Marshall and follow Meadows Town Rd to NC 63. NC 63 leads you back to NC 209, which will complete the loop. Its approximately 36 miles to Hot Springs and 98 miles will cover the entire loop ride.